BFGoodrich Advantage T/A Sport line of tyres boasts full-depth tread features that maintain their original design throughout the life of the tyre. BFGoodrich Advantage T/A Sport line of tyres boasts full-depth tread features that maintain their original design throughout the life of the tyre. Locking 3-D Active Sipe Technology provides more biting edges for significantly increased wet and light snow traction. Advanced All-Season Tread Compounds are silica-infused compounds to deliver outstanding grip year round. Aqua-Flume™ Technology is a curvilinear groove network designed to disperse water from under the contact patch. Computer Optimized Footprint manages tread wear evolution for longer life and a quiet ride. 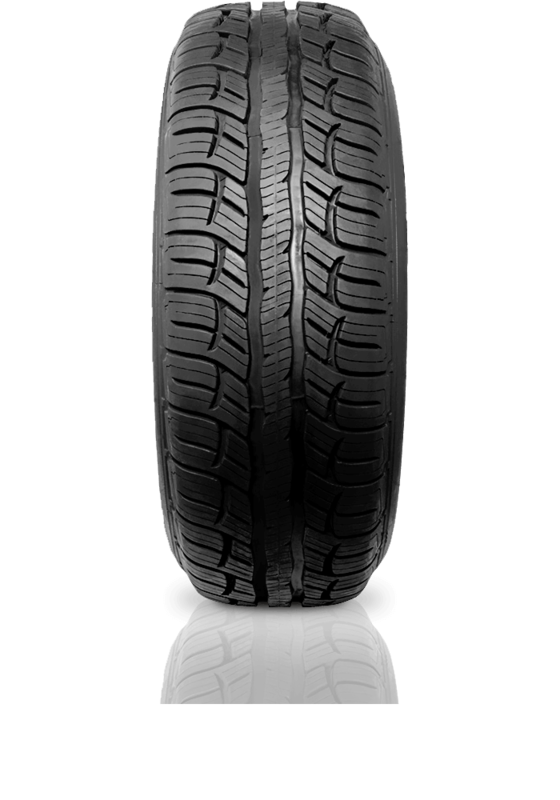 Full Depth Tread Features maintain consistent performance and look throughout the life of the tyre. Continuous Center Rib provides consistent steering response and road feel.